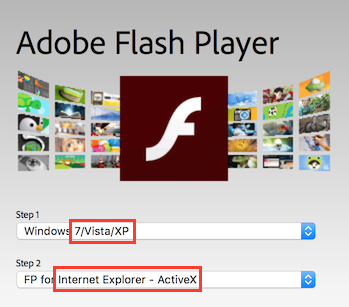 SWF.max requires an ActiveX version of Adobe Flash Player in order to open .SWF files. Please install the specific version mentioned below, regardless of the web browser and Windows version you have. Select "Windows 7/Vista/XP" on Step 1, even if you're using Windows 8 or 10. Select "Internet Explorer - ActiveX" on Step 2, even if you're using a different web browser. Click "Download Now" and install Adobe Flash Player. If you're running Windows 10 make sure you have the latest system updates installed.